Come and Experience a Japanese summer. 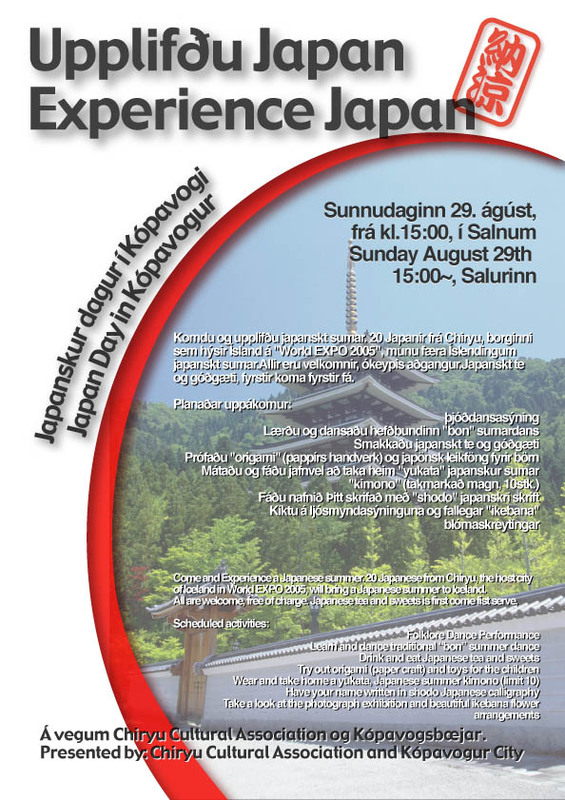 20 Japanese from Chiryu, the host city of Iceland in World EXPO 2005, will bring a Japanese summer to Iceland. Japanese tea and sweets is first come fist serve.